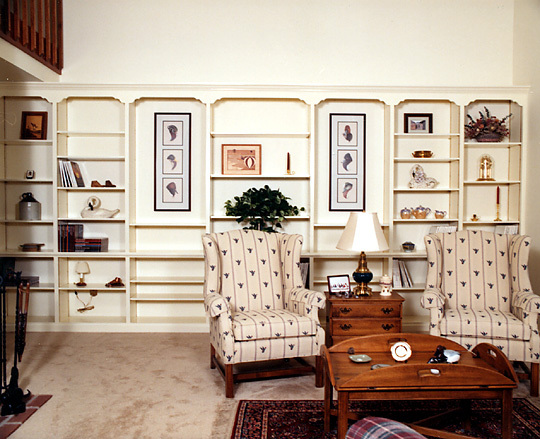 Bookcases and shelving designed to enhance your living space and personal library. 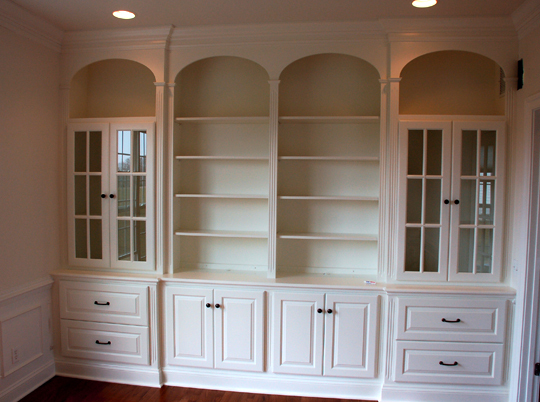 Choose to fill these shelves exclusively with books and reference materials in a custom home library. 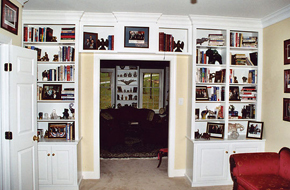 Or showcase other items, such as works of fine art, antique or sports collections, children's toys, electronics, statuary and other prized items. 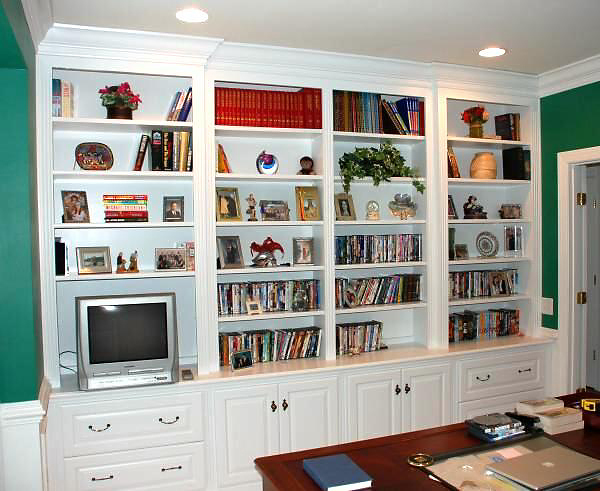 You'll appreciate the ability to highlight your household's most meaningful belongings in a permanent, easily-accessed location. 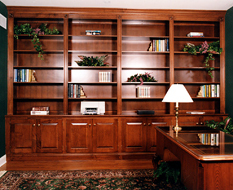 Decorate your premises effectively using this powerful organizing tool. 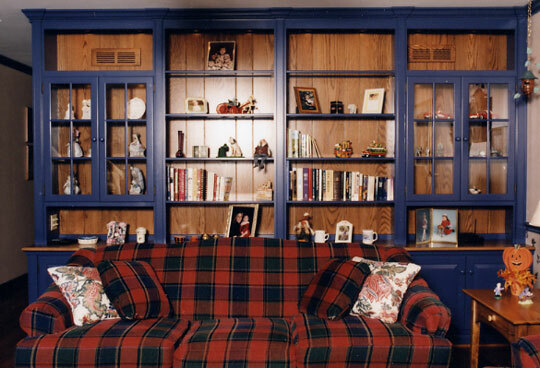 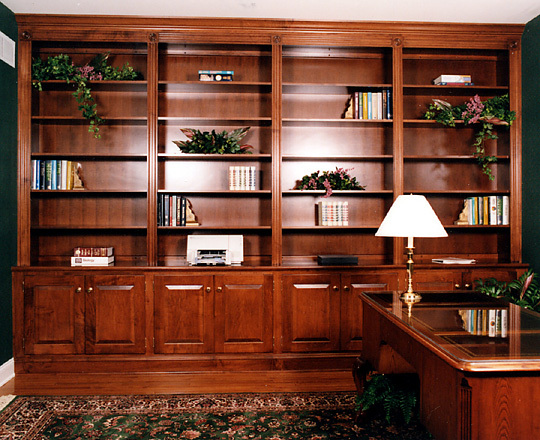 Ask T. L. King Cabinetmakers to install beautiful built in book shelves and bookcases in your home soon. The elegance of built in wall units for living rooms or other rooms in the house contributes substantially to interior design. 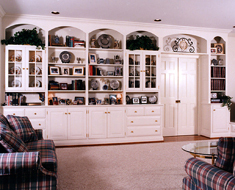 Our skilled craftsmen create shelving and cabinets in the dimensions, styles, woods, colors and finishes you designate. 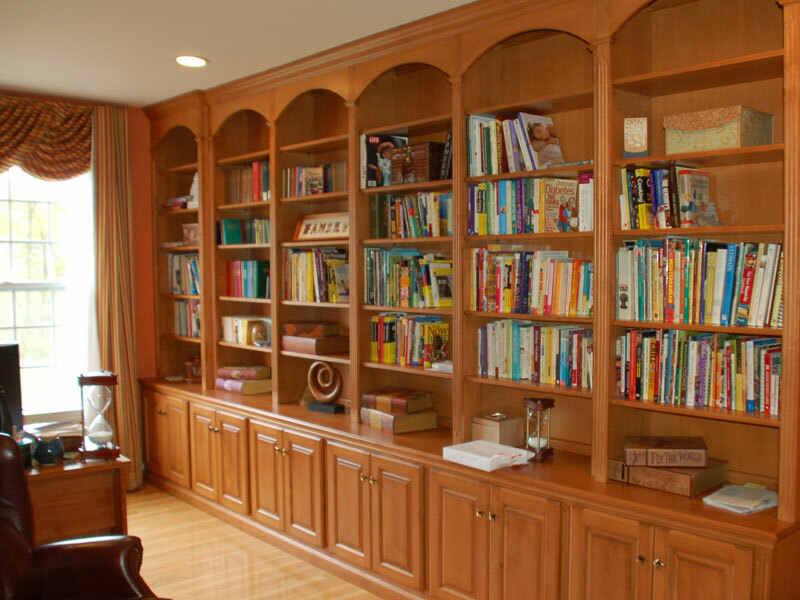 For instance, if you've used rich polished oak extensively as a motif in your lovely Kennett Square or West Chester home, we possess the capabilities required to install superb customized oak bookshelves to carry forward this theme. 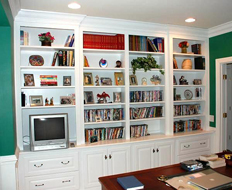 We work with many different materials and finishes. 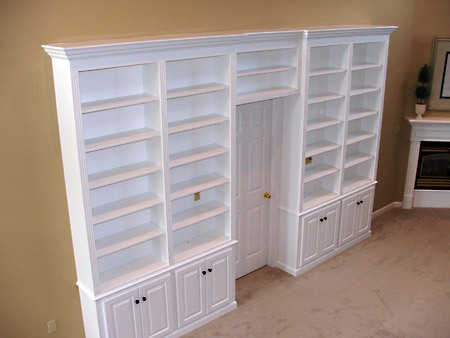 Ask us to supply new built in bookshelves to upgrade rooms in your residence. 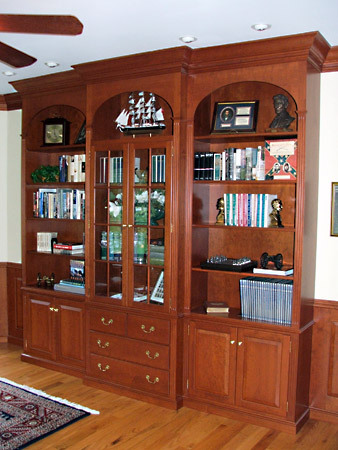 We'll help create stylish, welcoming living spaces using fine woods. 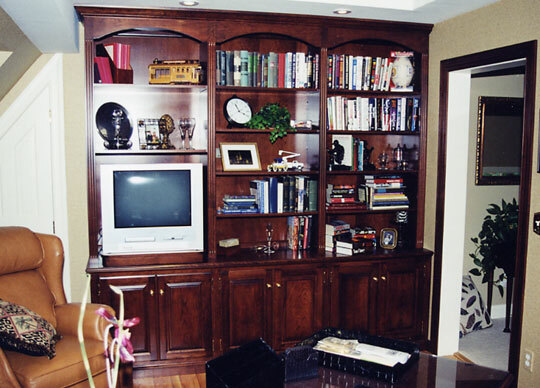 Your family members and friends will notice the skill of our installation craftsmanship and the lovely, memorable results of our work! 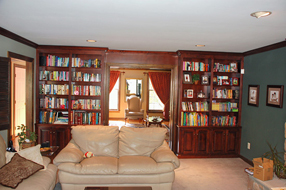 We serve customers residing in Philadelphia and the surrounding areas of Pennsylvania. To appreciate the elegance of lovely built in bookcases, simply spend some time perusing the photos in our online gallery. 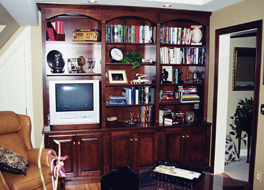 You'll notice the power of fine woodworking to lend a distinctive quality to real estate. 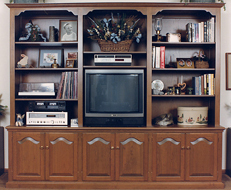 Resolve now to set your home apart by adding this valuable convenience. We offer personal consultations. 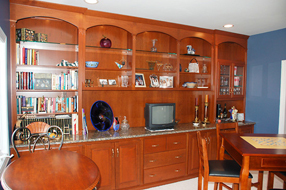 Our extensive experience in this field enables us to provide very useful assistance to households contemplating residential remodeling projects. 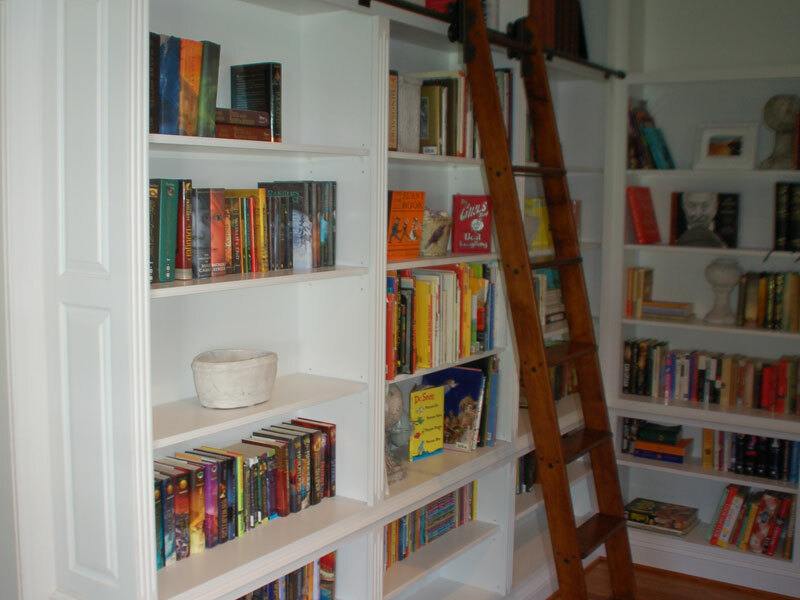 Custom shelving fits well in irregularly-sized spaces, for instance. 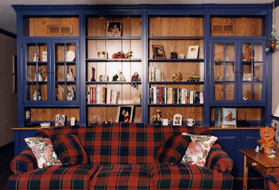 It may help transform a mundane or outdated room in a stunning way! 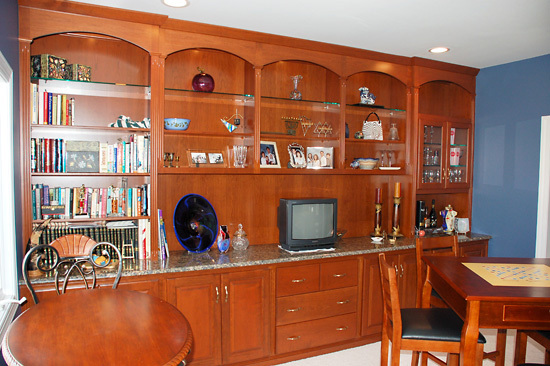 Don't spend money refurbishing an older home in Southeastern Pennsylvania without also exploring this trendy option. 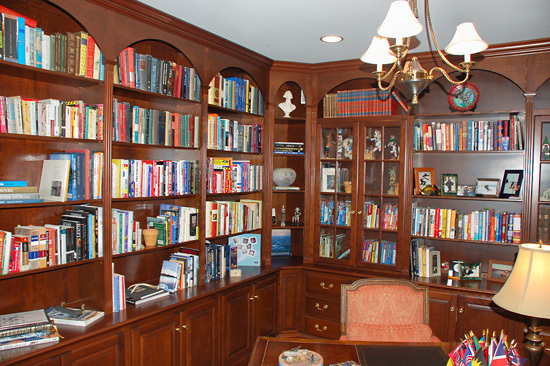 To request an appointment with T.L. 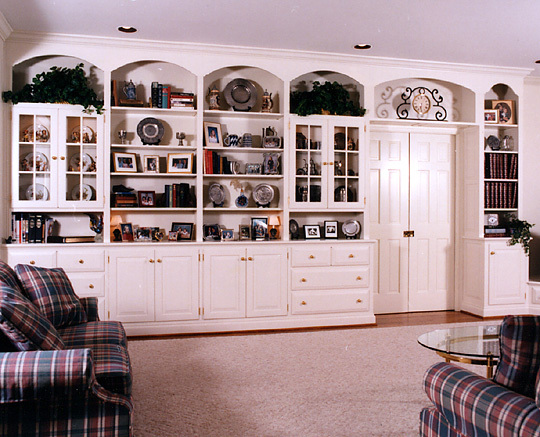 King Cabinetmakers, simply call us at 610-213-5496. 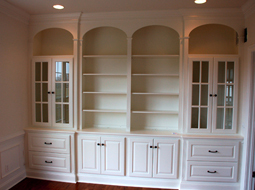 We offer free cabinetry quotes. You can also email us for more information. We look forward to helping your household enjoy the benefits of superbly crafted custom bookcases and book shelves!